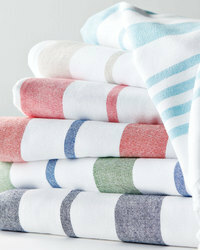 We supply these Towels different patterns like plain, plain with dobby, jacquard pattern and Printed design. Our range of Towels are available at reasonable prices and are highly comfortable and durable. Looking for Fouta Towel , Hamam Towels , Beach Towel ?